Isn’t being engaged such a fun time? 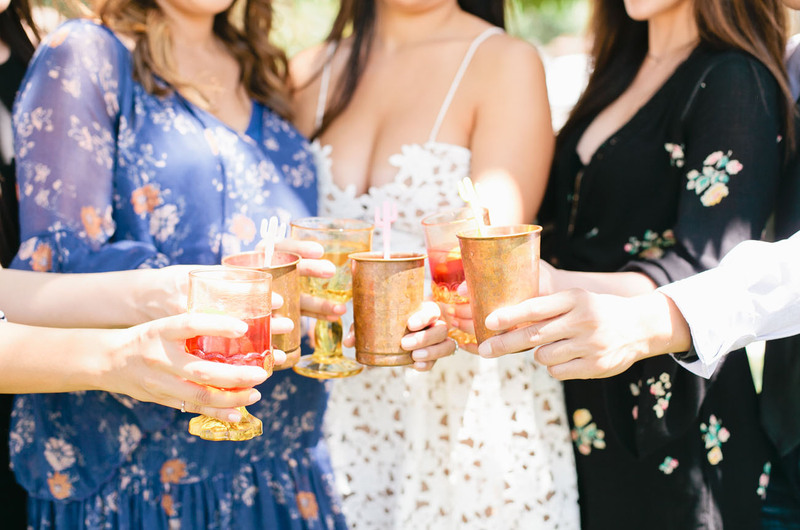 There’s the big day to plan for, of course, but there are also a slew of other super fun events – like the bridal shower + bachelorette party – that you and your close pals get to dream up as well! 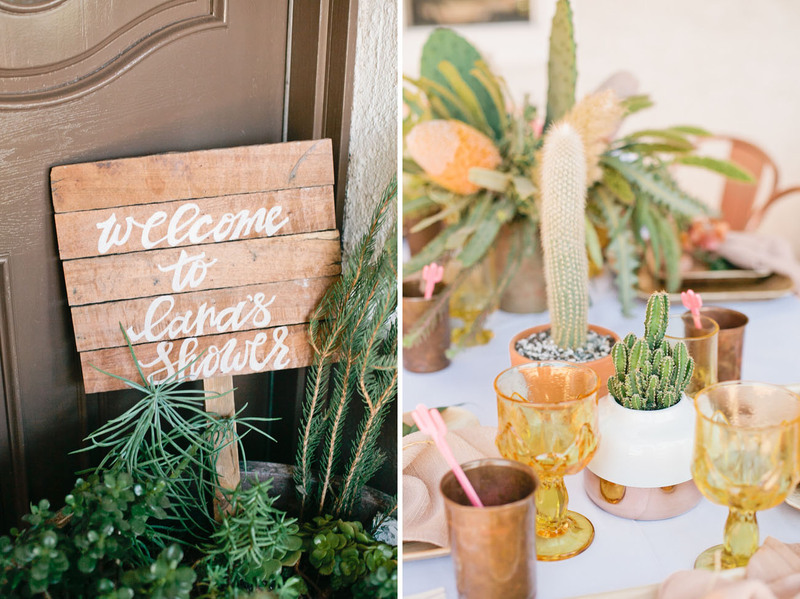 Today’s real bridal shower, planned for a very lucky bride-to-be named Lana is such fun inspo for any upcoming events you may have. 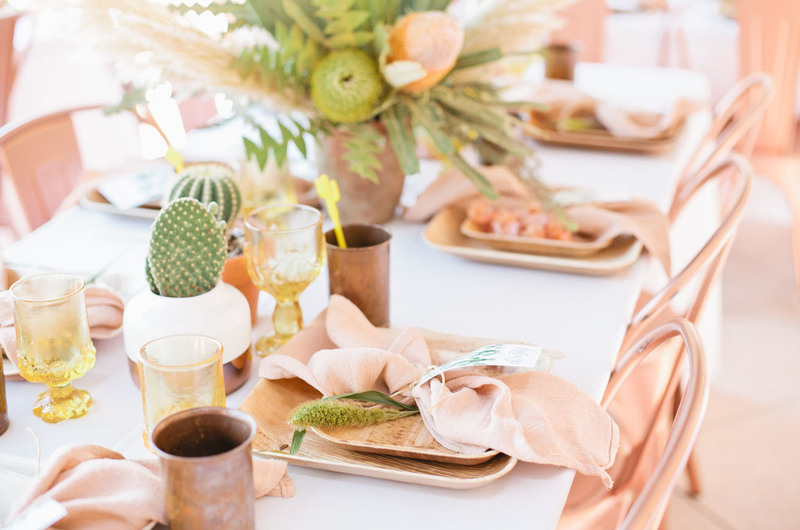 Lana’s sister is one of the owners + creatives, Leah, at Beijos Events, so it was never a doubt that this party would be a pretty one! 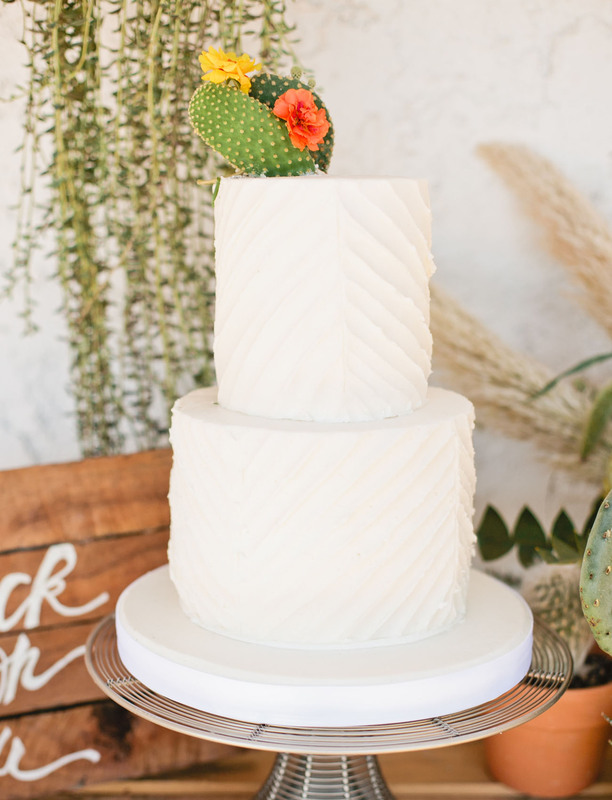 But below, Leah tells us a bit more about the creative, cactus-inspired details, and then it’s right onto the gorgy photos by the talented Megan Welker! 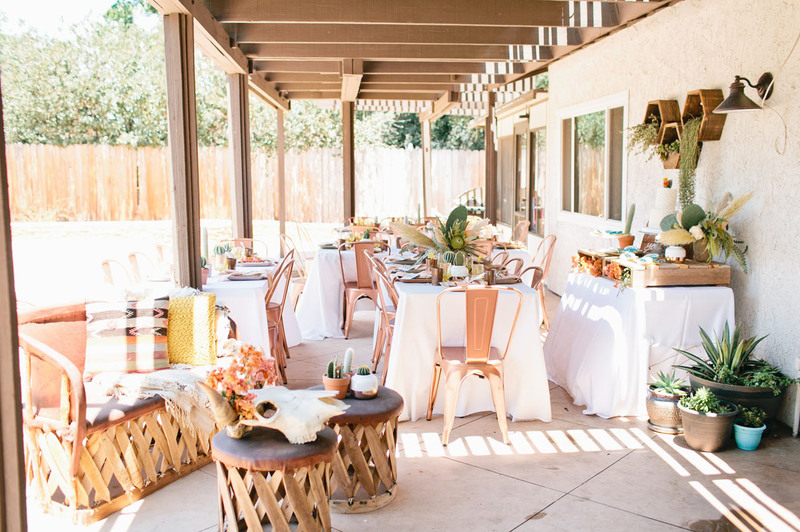 This was an extra special party for me to plan because it was my little sister’s wedding shower. My sister and I are very different, but we do have similar taste, so I knew she would love the theme once I had it in mind. 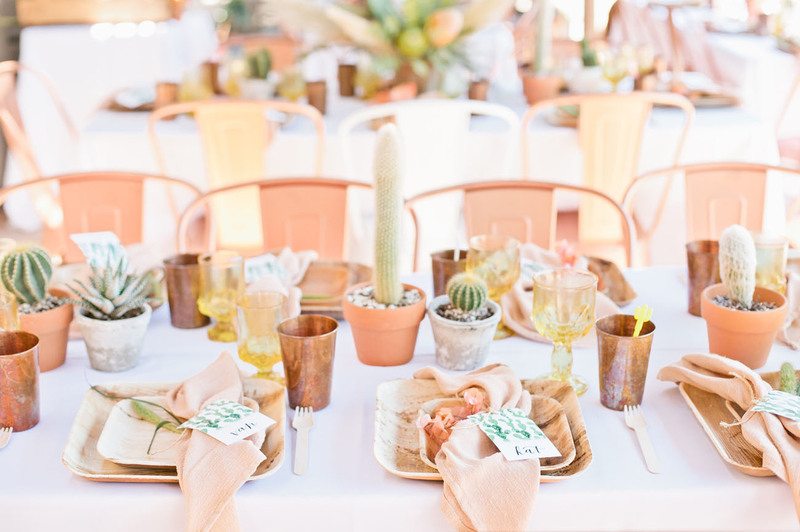 She is getting married in Santa Barbara in a couple months and it will be very rustic and Spanish. 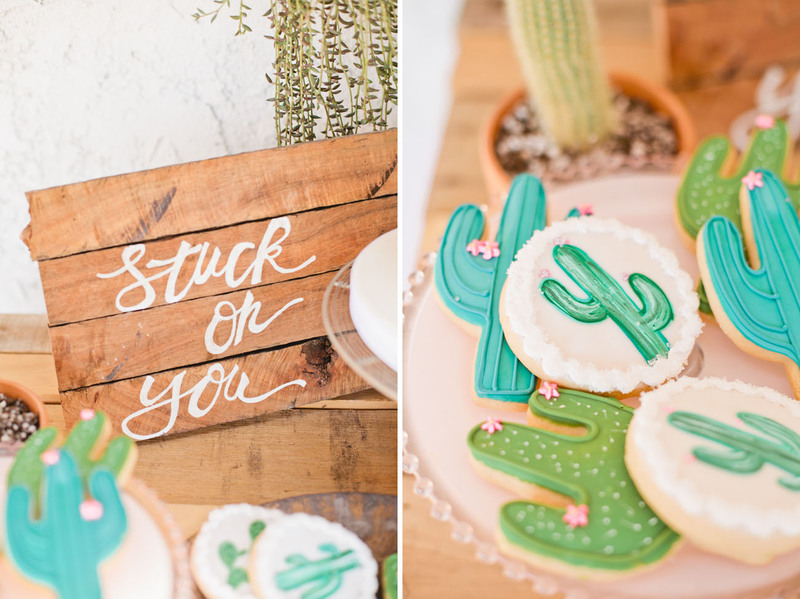 So naturally I leaned toward doing a fiesta theme for her shower, but then I took it a little further and focused on the desert and let the cactus be my inspiration. 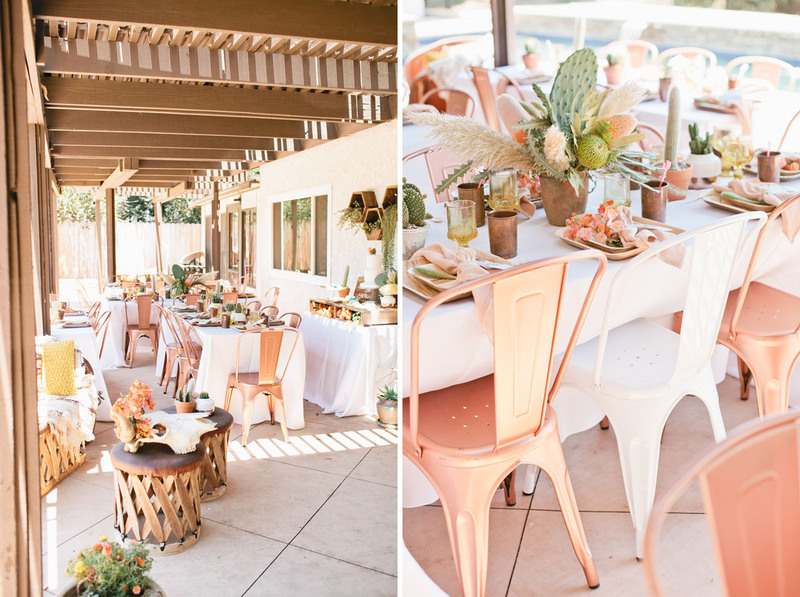 I integrated a natural, or blush pink into the rustic greens and then the party was born. 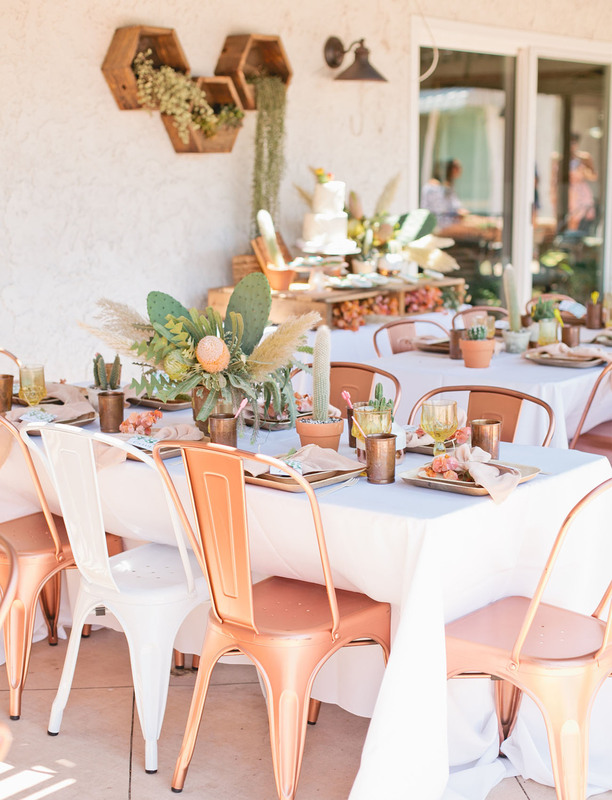 My favorite parts about the party are all the parts really, but to break down a few about the decor are how the copper chairs popped against the white linens and the rustic little Spanish lounge we threw together with Adore Folklore. 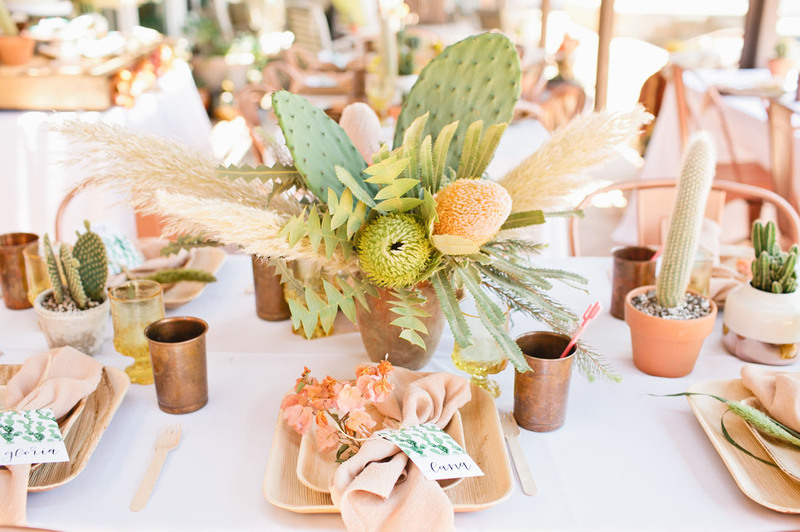 The unique flowers and cacti MV Florals used, with the soft and pretty mixture of table top from the Hostess Haven . And the invites and desserts were also just so good!! This one was a labor of love, can’t wait to see my beautiful sister get married! 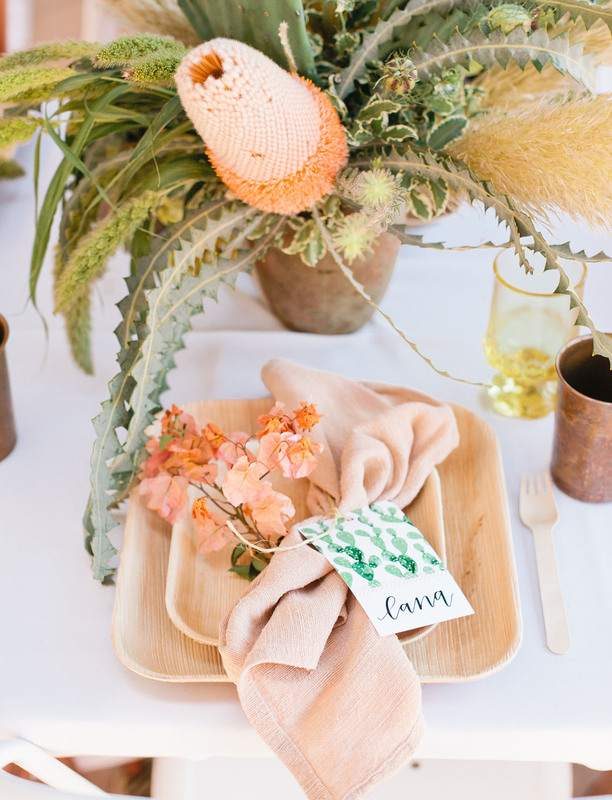 We’re loving the palette of copper, peach + pale desert green! 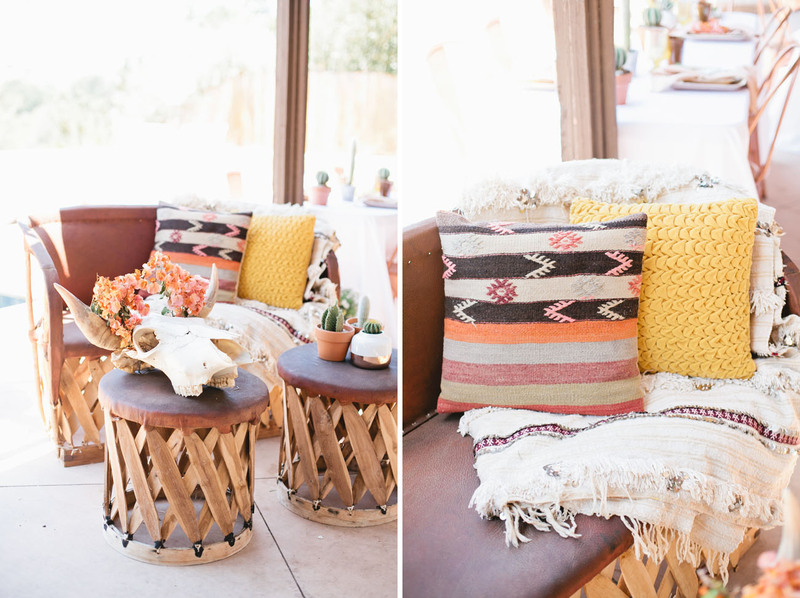 A boho lounge by Adore Folklore was the perfect vignette for the gal of honor and her friends to hang out in! 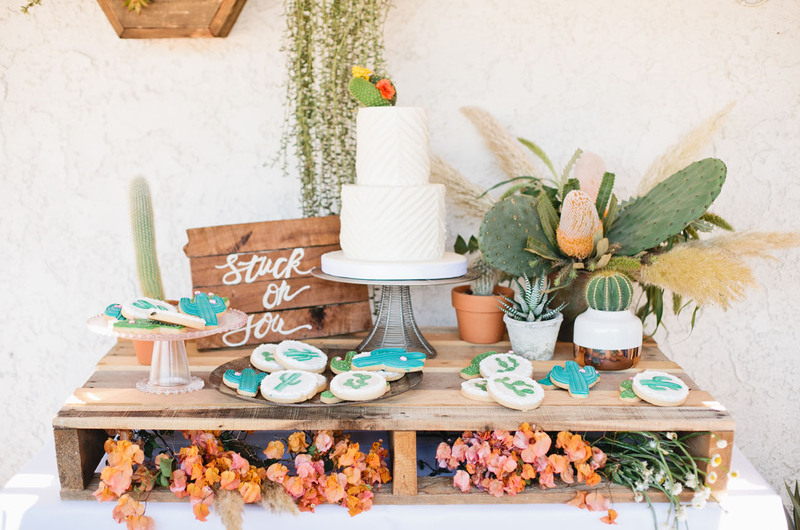 Beverly’s Bakery whipped up a super simple, but yummy-looking, cake and the cutest cactus-adorned cookies for the event. 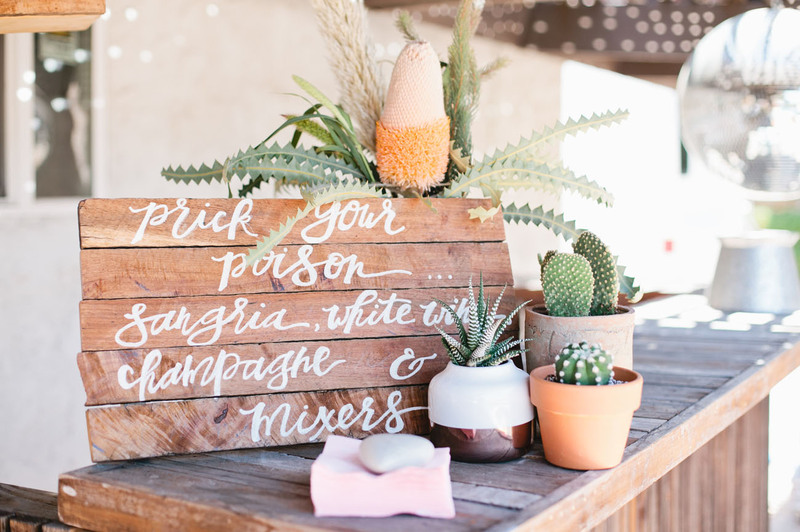 And how pretty do these cocktails look look with those cactus stirrers by Jen and Jules Designs? Love, love! 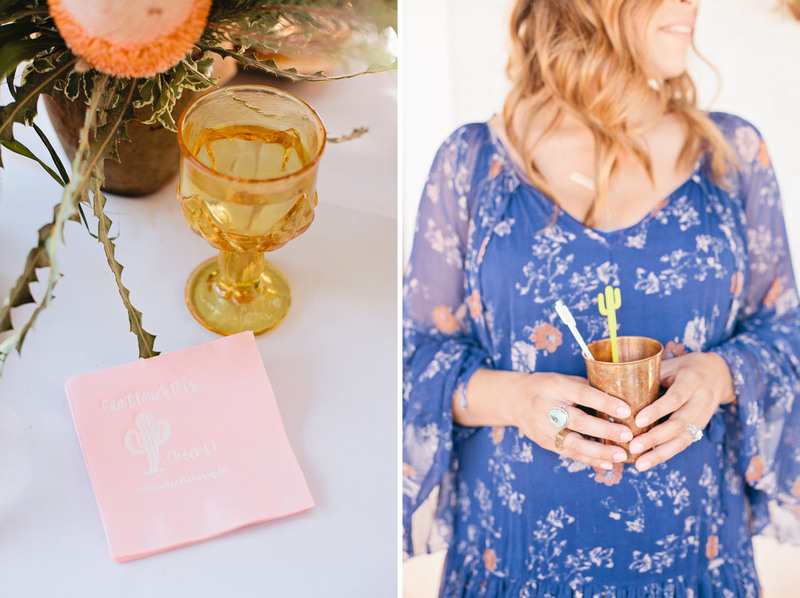 Big thanks to the Beijos Events team for sharing and congrats to the lovely bride-to-be, Lana! 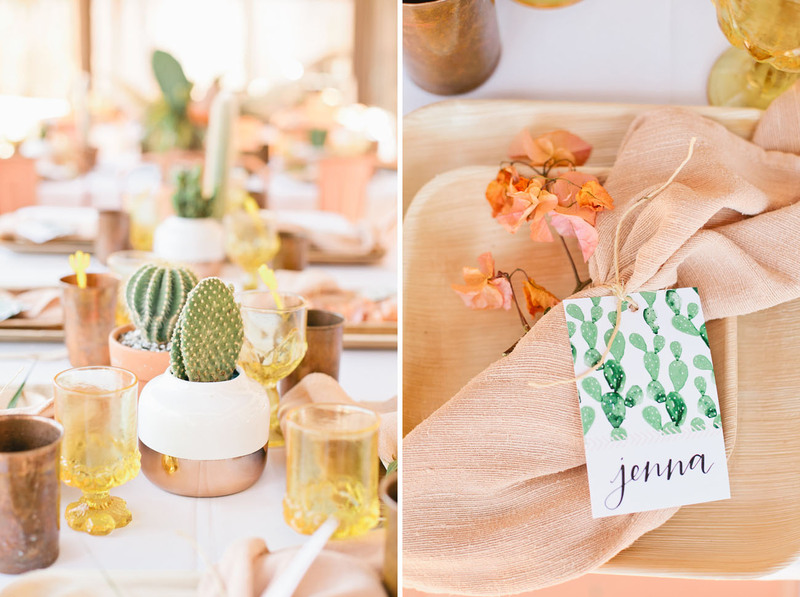 So obsessed with the warmth + concept + use of the cactus! Spot on!